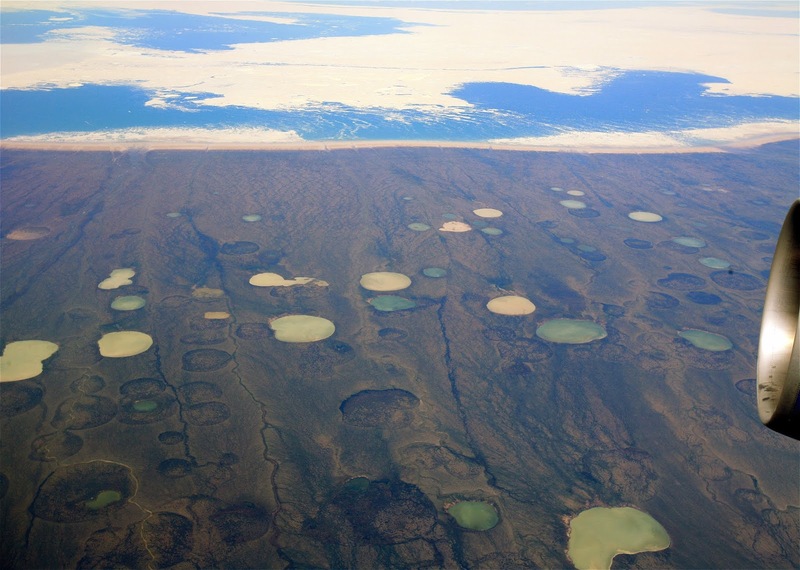 Ponds in the Canadian Arctic, believed to be caused by melting of the permafrost. Environmentalist and author Bill McKibben calls climate change the most important issue facing the world today and likens the struggle against it to the Second World War. Story here.